These policies seek to kick Rome’s influence out of England and ensure his grab for church property. How did Rome, France, the Holy Roman Empire, and Spain react? Let’s go back in time at the beginning of Henry’s reign. Let’s begin with war, as young kings felt compelled to do, even though King Henry VII (his father) kept the country at peace. In his youth Henry read Sir Thomas Malory’s Le Morte d’Arthur, printed in 1485. He read the French chronicles written by Jean (John) le Bel and Jean (John) Froissart that described Edward III’s victory at Crecy and Henry V’s at Agincourt. He set up a big wooden disc known as King Arthur’s Round Table in the castle at Winchester. Though his father kept the country in peace, men stood by Henry’s side whose grandfathers fought at Agincourt, a famous battle in France, waged by Henry V of England. English King Henry VI was crowned king of France at Paris. After complex negotiations with Spain, and made and broken treaty with France, Henry VIII and King Ferdinand decided to invade France. 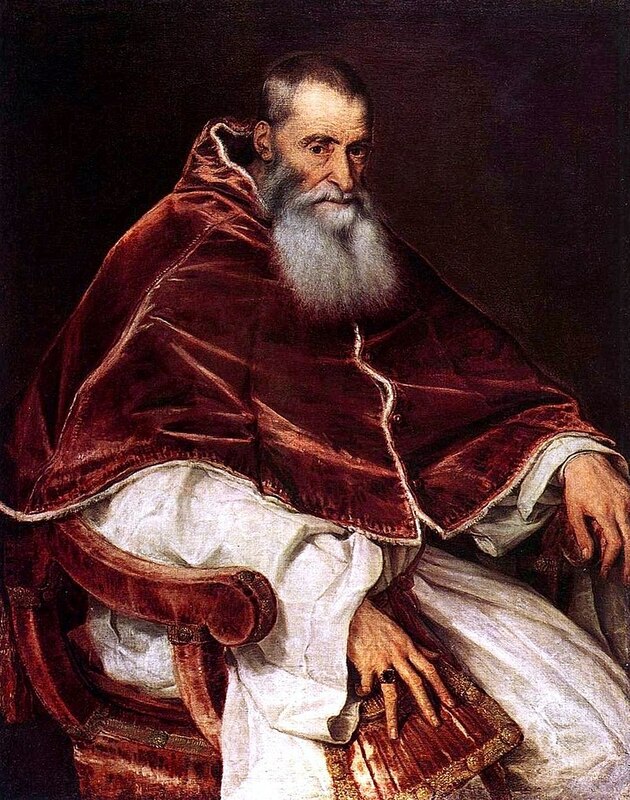 Pope Julius II would also like to kick France out of Italy too. Spain would come from the south, and England from the north and west coast. Spain was to conquer Aquitaine, a rich duchy in France, for England. In a brief dated 20 Mar 1512, the pope stripped the King of France of his title “Most Christian King of France” and even his kingdom, and conferred them on Henry VIII. However, he had to win some battles. On 30 1512 June at 7 pm Henry landed at Calais in northern France, with hundreds of ships. Spain let Henry down, but he managed to conquer some towns in northern France. On 16 Aug, the French and English engaged in a fight outside the town of Thérouanne. A French cavalry had to retreat because of England’s artillery. The English and Burgundian horsemen chased them. So it was called the Battle of the Spurs, even though it was more skirmish than battle. Also, Henry wasn’t there, though he bragged about it as a great victory. They took Thérouanne and Lille and Tournai. Back in England, it was almost de rigueur for Scotland to attack when the English king was absent. James IV crossed the Tweed, and England and Scotland met at Flodden on 9 Sep. The English routed them, taking most of the Scottish aristocracy. These people were killed: twelve earls, archbishop of St Andrew’s, two bishops, two abbots, and finally the king himself. This was a greater and more consequential outcome then the Battle of the Spurs. Would Julius II carry out the promise in the brief, making Henry VIII “Most Christian King” and King of France? He needed to win more battles. Henry’s sister Mary was supposed to marry Charles, duke of Burgundy, future Holy Roman Emperor, on 15 May 1514, but instead she married the King of France, Louis XII, many years her senior. England and France would not fight in open war for another eight years. However, Louis XII died on 1 Jan 1515. She was free to marry her true love, the duke of Suffolk, Charles Brandon. And they did get married while Charles was visiting in Paris, even though Henry had other marriage plans for her. 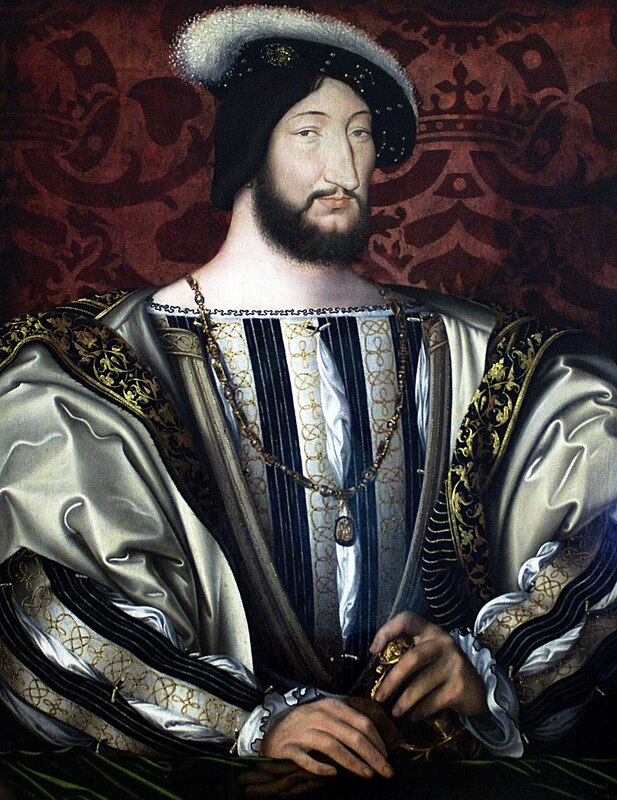 The new French King, Francis I, was eager to keep Mary Tudor out of the international marriage market where she might marry a Hapsburg or a Spaniard, so he pushed her marriage. 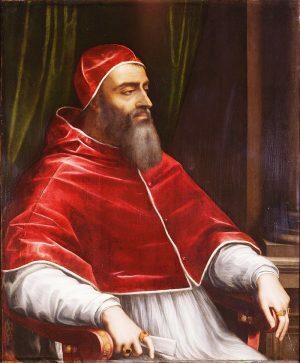 On the foreign front, the major powers in Europe, particularly the new pope, Leo X, sought peace. On 2 Oct 1518 all the great powers, including twenty lesser ones like Switzerland, Denmark, Portugal and the dukes of Gelders and Urbino, signed the Treaty of London. It was called the Treaty of Universal Peace. It said that if any signatory suffered aggression, the others would tell the aggressor to back off. If he refused, the others would declare war against him. On 4 Oct, subsidiary treaties were signed; one such was between France and England. Tournai was restored to France for the price of 600,000 crowns (huge!). In the build up and aftermath to these treaties, the Holy Roman Emperor Charles visited England, and the King of France visited England, and Henry visited France. In France the whole festival was called the Field of Cloth of Gold, where the best and brightest in England crossed the Channel supplied with hundreds of pavilions and tents and rich clothing of velvet, sarcenet, satin, gold and doublets, bonnets, shirts and boots. Even a summer palace was being put up by two thousand craftsmen from England and Flanders—masons, carpenters, glaziers, and so on. Wolsey guided all of this. He was very effective. During the festivities, wrestling was done. Francis I of France threw Henry VIII of England in a match. Francis I was very tall and strong–taller than Henry and evidently stronger. Just to feed the two kings and two queens and their nobles cost £7,409 (£2.8 million today). £440 (£167,000) was spent on spices alone. Behind the scenes other treaties were being signed, as far into 1518 and 1521. In the 1520s wars began between the major powers. Renaissance Italy suffered the most. The Habsburgs and Valois (French dynasty) entered a new phase in their conflict that was to bankrupt both. Thanks to the wars, Turks were able to penetrate into southeast France and seize much of Hungary and wreck its church. Lutheranism was able to take hold in regions and grow. During the siege of Pampluna, Ignatius Loyola received a wound that laid him up so that he received a vision to begin the Jesuits. Surprisingly, Maximilian I, Holy Roman Emperor, offered the Holy Roman Empire to Henry. (Why? A gigantic gift? Alliances?) Henry refused it because it didn’t seem serious. Another offer, another refusal. On 12 Jan 1519 Maximilian died, and now who would get the Empire? Charles, King of Spain and Maximilian’s grandson, or Francis I of France? Henry was seemingly neutral, but he barely favored Charles. When Francis was rising, Henry threw his hat in the ring. On 28 June Charles was elected emperor. Henry and Wolsey did not spend enough money. Around this time Henry announced he would like to go on a Crusade and even wrote the pope about it, but nothing came of it. By May 1522, England was at war again with France, the “Great Enterprise.” Henry made alliances with Charles, Duke of Bourbon, (King Francis claimed his lands when Charles’s wife died), and Switzerland and Venice. In a pincer move from north and south, the allies made headway, but in the end nothing substantial came of it. Call it the Debacle. 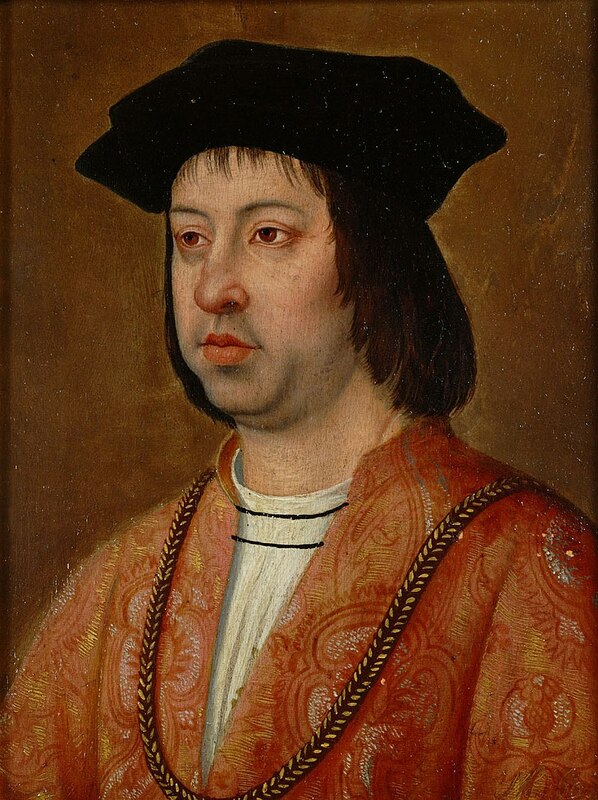 On 14 Feb 1525 Charles V, Holy Roman Emperor and King of Spain, won a crushing victory over Francis I in Pavia, the citadel of central Lombardy (northern Italy). The White Rose (Richard de la Pole, earl of Suffolk and claimant to the English throne) and the King of Navarre were killed. The French king was taken prisoner. Now an exposed France lay before England to be dismembered. Henry rejoiced. He marshaled an army; bonfires blazed; an embassy sent to the Low Countries to organize the cannons, guns, horses and wagons; commissioners appointed to raise money in a tax called Amicable Grant—heavy. He intended just to carve up France and get some portions like Picardy, Normandy, and Brittany. Joint invasion of France! 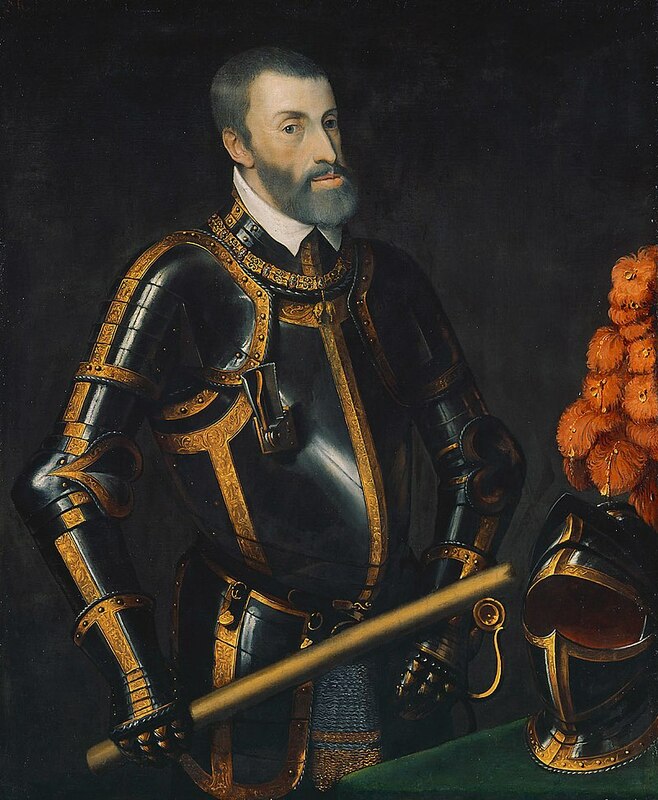 But why would Charles V carve up his victory? Why let England rise? Snub. The Amicable Grant was a failure—a tax of one-sixth on laity and one-third on clerical incomes. Isolationists complained Henry would spend his time in France. Henry had never won territory in The Continent before. All of this wrecked the continuation of the Great Enterprise. On 30 Aug 1525 the Treaty of the Moor (one of Wolsey’s homes) was signed between England and France. The Treaty of Madrid, signed in 1526 between Charles and Francis, was swiftly broken by Francis because it was signed under duress. Charles had to be stopped, so Henry joined with France. A marriage pact between Mary, daughter of Henry, and the French royal house was part of the Anglo-French alliance. A kind of second Field of the Cloth of Gold was held at Greenwich. Henry could not dance because he injured his foot playing tennis; he wore a black velvet slipper. On 6 May 1527, the Duke of Bourbon, in the meantime, took imperial troops from Lombardy and broke through the walls of Rome and trashed the city: They were hungry, unpaid, mutinous, and tinged with Lutheranism. The pope had to flee through a tunnel from the Vatican to the Castel Sant’ Angelo. Charles didn’t know about this sacking. The last few years of his reign were spent in international diplomacy between the Holy Roman Empire, France and himself. For example, in 1539 France and Spain finally signed a peace treaty, called the Treaty of Toledo. It said they were to sever ties with England and fight heretics, meaning Turks and Protestants. Pope Paul III was organizing a crusade against Henry. In reply, he shored up coastal fortresses and built new ones. He also reasserted his Catholic orthodoxy. Another reply: He sought alliances with the duke of Cleves, whose sister was Anne. He married her against his will after he saw her, but Cromwell said not to back out because Henry needed allies against Spain and France and the Pope. On 23 Nov 1542 Scotland mustered about 20,000 men, but in a skirmish, the English routed them at Solway Moss. Many prisoners were taken and sent to the Tower. James V died (from grief it was believed), leaving the throne to his daughter Mary, Queen of Scots. The Protestant princes of the small German jurisdictions had formed the Schmalkald League in 1531 to protect Lutheranism from attack by Charles, Holy Roman Emperor and King of Spain. In 1536 England and Wales were united. In June 1540 by act of the Parliament of Ireland, he was styled king of Ireland, which improved on his previous title “lord.” As lord, he was under another authority—the pope. As king, he ruled. On 11 Feb 1543, Henry and Charles signed the Anglo-Imperial treaty, so would Henry invade Scotland? After threats and negotiations, he was nowhere near a mastery of Scotland. On 10 July 1542 England decided to go to war with France. On 14 July 1544 Henry arrived at Calais for the fourth time in his life. Henry managed to take Boulogne, a coastal town south of Calais, and kept it as a bargaining chip. But Charles, his theoretical ally, faded away when he was supposed to come up from the south. Isolated, the French drove England out of France, except a fortified Boulogne. He was desperately short of money: The campaign of 1544 cost him £650,000, and January and 8 Sep a further £560,000 was spent. (The total cost of international diplomacy and war from 1542 to his death in 1547 exceeded two million pounds.) HUGE debt. In the early summer of 1545, France threatened to invade England. Henry could see the ships from the English shore, and some French ships landed at the Isle of Wight. But after a skirmish, the French departed. 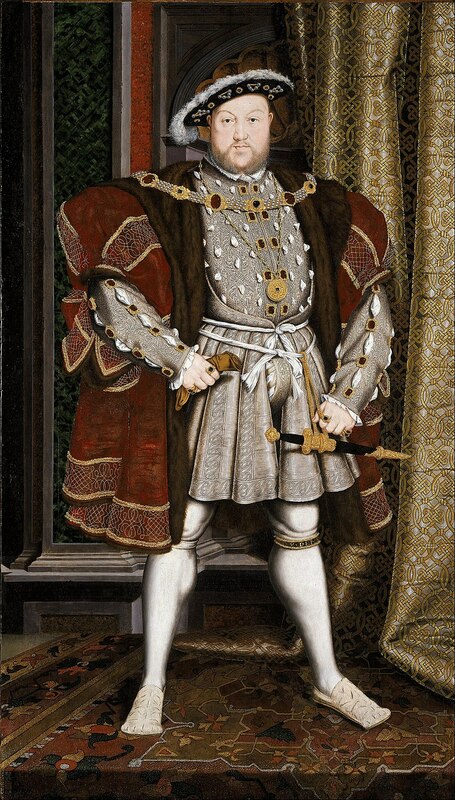 Henry died on 28 Jan 1547. Due to his wars and huge domestic expenditures, Henry left England broke. David Loades, ed. Chronicles of the Tudor Kings (Penguin Viking 1990). J,. J. Scarisbrick, Henry VIII, new edition, Yale English Monarchs (New Haven: Yale UP, 1997).